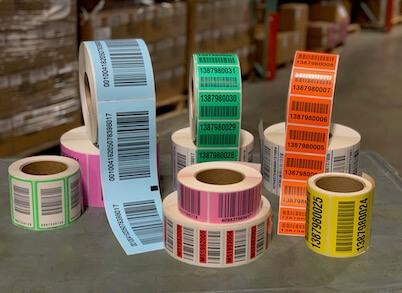 ID Label's "Make-and-Hold" Pallet Label Program Offers Significant Savings and Convenience | ID Label Inc. But are you taking full advantage of ID Label’s custom preprinted LPN services via our Make-and-Hold program? 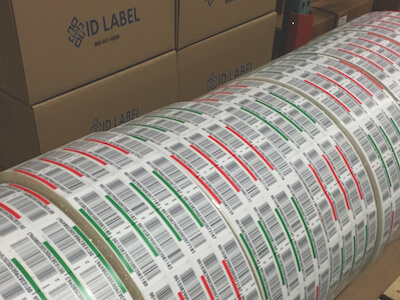 ID Label Inc.’s sequentially numbered LPN labels are ideal for tracking warehouse moveable units, whether used for pallet ID, case ID, carton ID or other shippable unit identification tracking. Aitken noted it’s more cost-effective to set up and produce the labels in larger quantities, so ID Label is able to offer greater cost savings. A typical Make-and-Hold run covers a customer’s needs for three months. 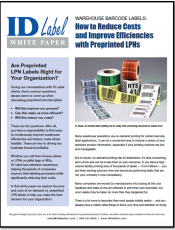 Download our free white paper to discover eight hidden costs associated with printing warehouse LPN/pallet labels in-house and how to analyze your true costs.